FY&I is located in the heart of downtown Delray Beach at the Pineapple Grove Archway and in between the Office Restaurant and El Camino. We offer the most delicious frozen desserts to satisfy any sweet tooth and we have something for the entire family. Our creamy Frozen Yogurts come in fat free, low fat, dairy free and sugar free varieties. FY&I also carries a variety of Italian Gelato, over 20 flavors of Ice Cream and Dole Soft Serve Sorbet. Choose from our wide selection of toppings and enjoy the perfect frozen indulgence! 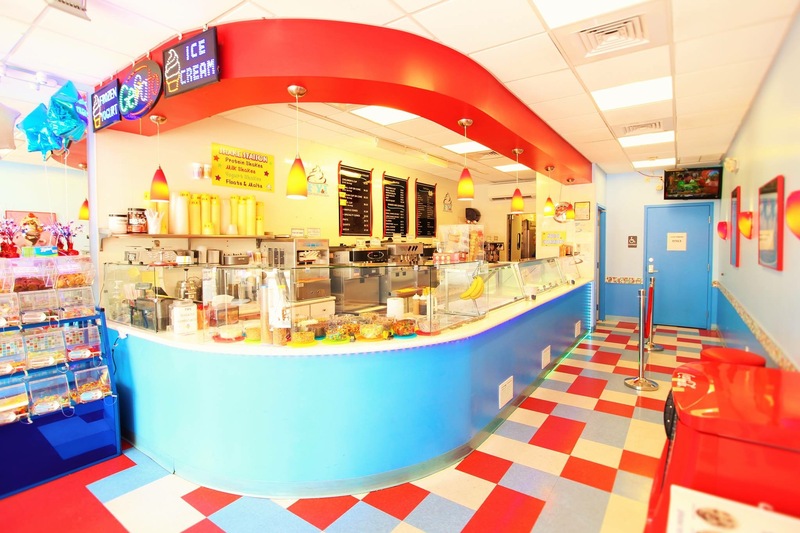 We are proud to be one of the top ice cream parlors in Palm Beach county! FY&I also offers: Protein Shakes, Birthday Cakes, Sundaes, Pies, Banana Splits, Milkshakes and Candies. Let us cater your next Birthday Party or Special Event. You can enjoy your desserts in our breezy cool covered cafe while watching sporting events and cartoons on our indoor and outdoor flat screen TV’s. Children are always entertained by our endless bubble machine.